A U.S. website misidentified a Toronto university student as the teen charged in a mass stabbing attack at an Ontario high school, leading to a slew of hateful online comments against her. This week, a 14-year-old girl allegedly injured both staff and students in a stabbing attack at Dunbarton High School in Pickering, Ont. Now charged with 15 offences, she cannot be named by law that protects the identity of young offenders. 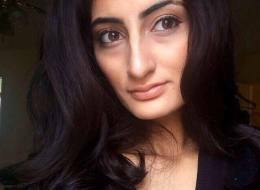 Zahra Vaid, a 21-year-old studying at the University of Toronto, had been initially been interviewed for a Globe and Mail story about the accused's blog. After that article was published, Vaid was named as the suspect in a post on The Gateway Pundit , a right-wing political website. "An innocent mistake, perhaps? Not at all," Vaid wrote in a Facebook post. The Gateway Pundit post was originally called, "Canadian Muslim Girls on Mass Stabbing Spree – 8 Injured."